It’s bed time. Baby is acting tired and by all accounts you’re tired too. 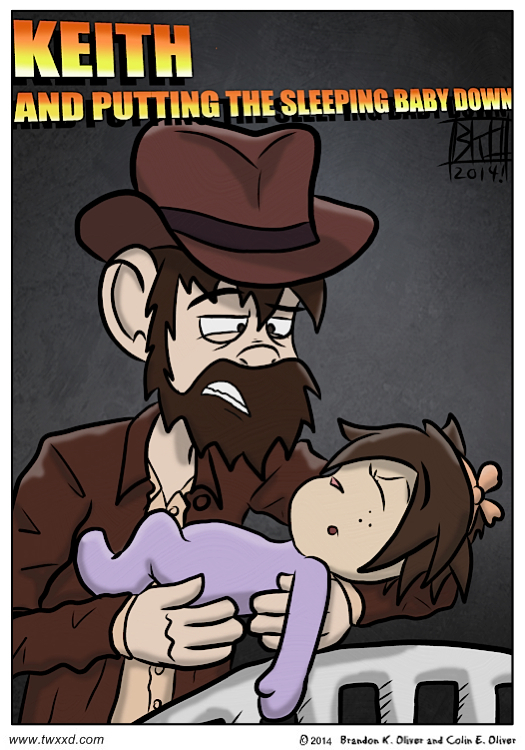 You feed, rock, and walk baby around until you’ve hit that sweet spot and they’ve fallen asleep in your arms. But now comes the true test. Can you put the baby down without them waking up again? CAN YOU? Ah, crap, I think I hear the boulder coming…err…crying. That boulder is also one you have to run toward. Do the dead arm trick (lift their arm then let go, if it drops – they’re really out; if they resist at all and hold it up, they’re not really out). I’ve found that even when you think they’re out cold, they’re not out enough unless the dead arm trick works.